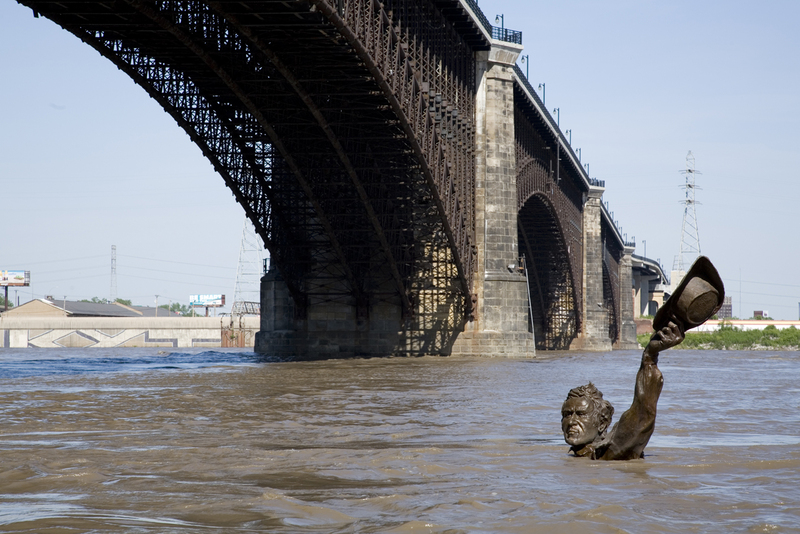 While stopping to check out the St. Louis Gateway Arch, we saw this statue that was mostly submerge under the muddy waters of the Mississip! At first we thought it was some weird water statue but it turns out that flooding submerged what is a very big statue! 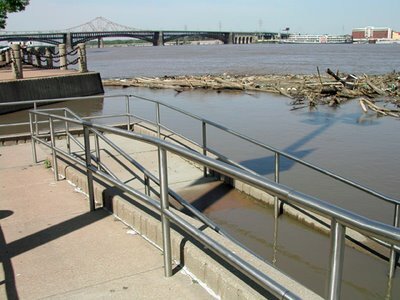 You can view the riverfront without water by clicking here. 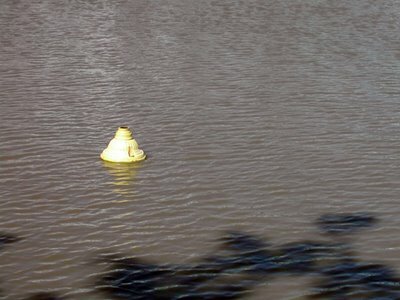 Normally, there are two men and a dog on a base! 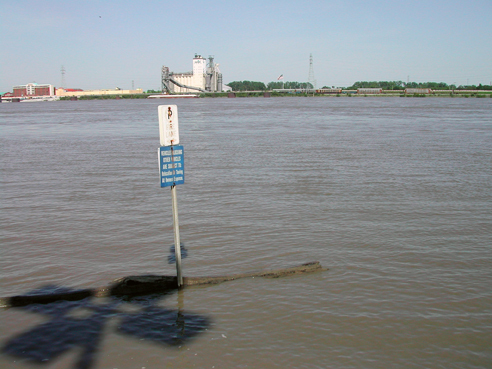 So the flooding was pretty serious. 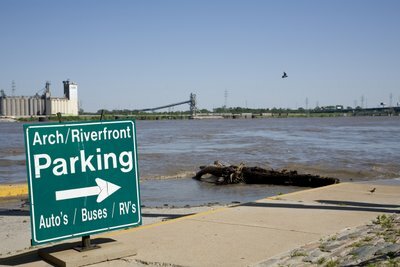 The extent of the flooding was further proved by the sign asking us to park in the river. And another sign advising us to NOT park in the river. 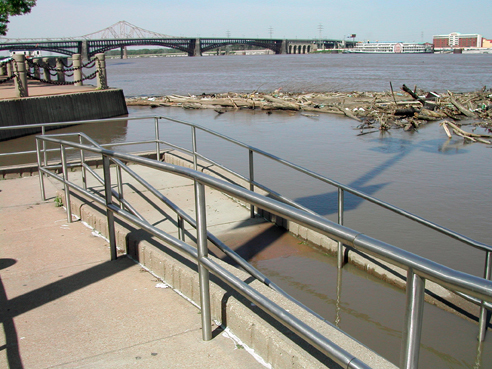 Ramps that go into the river! 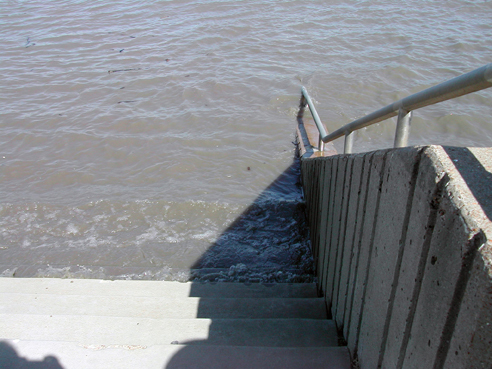 Followed by stairs that walk right into the river! 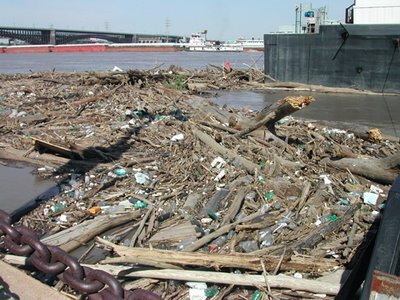 Nasty debris engulfing another flooded area. 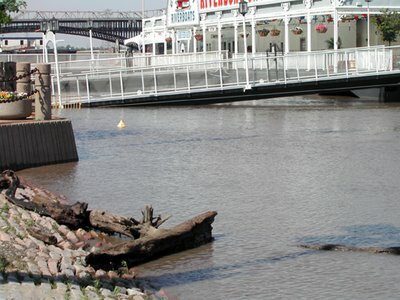 Oddly rigged riverboat, due to flooding issues.